Perfect for reenactors or stage performers who need authentic looks but do not need authentic weight. This extremely light mail utilizes aluminum rings that are riveted for added durability. Even if you wear it all day long you will hardly notice the weight. It weighs only 2 lbs. 4 oz. 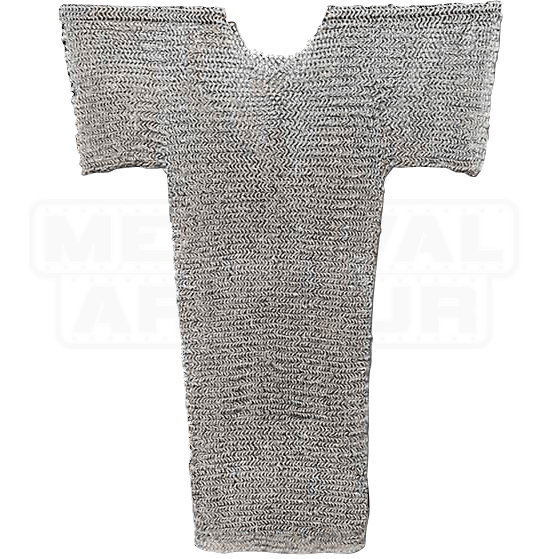 This Riveted Aluminum Mail Shirt matches our Riveted Aluminum Mail Coif, which is item ED9061. Each incredible chainmail shirt (hauberk) is painstakingly and skillfully created by hand using 7/16 inner diameter rings. Our craftsman use the most popular European style called 4 into 1. Each circular link intersects with four others to form a continuous blanket of metal ring protection. This mail armour is crafted from aluminum in a similar fashion, offering an authentic look and feel in a lighter package. 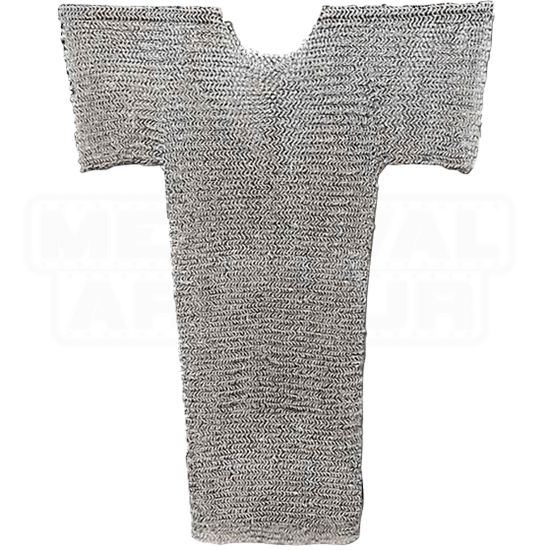 It is perfect for creating the real look of chainmail without the greater weight of steel.